United kingdom: The National Institute for Health and Care Excellence (NICE) published an updated guidance on clot-removing procedure for patients who have had a stroke on 24th February, 2016. The guidance concludes that the use of mechanical clot retrieval for removing a blood clot from the blocked brain artery in people who have had a type of stroke called an acute ischaemic stroke is safe and effective. Mechanical clot retrieval aims to restore normal blood flow to the brain, thereby preventing or limiting the damage that can be caused by a stroke. A stroke occurs when the normal blood supply to part of the brain is cut off. This starves the brain cells of oxygen in the area affected, causing them to become damaged or die. 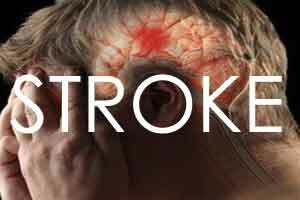 An ischaemic stroke is a stroke that can be caused by a blood clot blocking an artery supplying the brain. Symptoms may include problems with speech and balance, and weakness on one side of the body. The current mainstay of treatment for ischaemic stroke is the use of drugs as soon as possible after the stroke to dissolve the blood clot (thrombolysis). However, these must be given within 4.5 hours of the start of the stroke and only benefit around 1 in 7 people treated. Mechanical clot retrieval can be used for blockages in large blood vessels. The patient first has cerebral angiography (a procedure using dye and X-rays that shows how blood flows through the arteries in the neck and brain) to see where the blood clot is. With the patient under sedation and local anaesthetic or under general anaesthetic, a catheter is inserted through a large blood vessel, usually in the groin, and moved forward to get pictures of the brain’s blood supply. The clot removal device is inserted through the catheter and positioned near the site of the clot. Mirella Marlow, Programme Director – Device and Diagnostics Systems at NICE, says: “In England, approximately 110,000 people have a stroke each year. It’s the fourth single largest cause of death and is the largest cause of complex disability, with limited available treatments. We are therefore pleased to be able to recommend normal arrangements for this procedure.